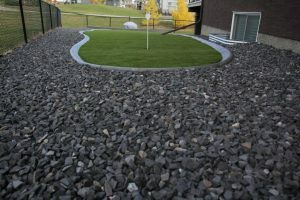 Small putting green with synthetic lawn or artificial grass - Curb Design Inc.
Small putting green with synthetic lawn or artificial grass. 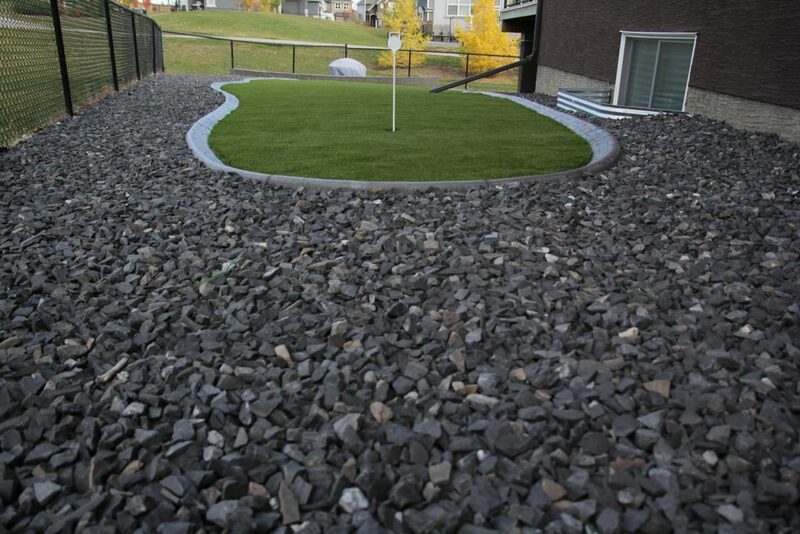 Concrete curbing separating artificial grass with gravel. Backed on a Calgary green space.